Whereas most 19 year olds are busy trying to discover their own identity, some are setting out to capture other people’s. Meet Nastia Cloutier-Ignatiev - a Canadian-based photographer with a whole set of impressive credentials under her belt. At just 19, her intimate work focuses primarily on women - and women’s lips. From painted red pouts to open mouths and tongues, Nastia has an eye for this particular part of the body, with beautiful results. Even her Instagram bio says that “Lips and eyes dictate the way I capture the instant” and with one glance at her work, it’s easy to see why. With such close up portraits, Nastia’s work places an emphasis on one of our favourite subjects: makeup. We love that every detail is on show, and her collaborations with a whole host of great makeup artists mean that the looks are always immaculate and never boring. So we thought it only right to catch up with Nastia for a chat about girls, lips and working together. Your portraits tend to focus on women. What is special about photographing women? My pictures often reflect on matters I am experiencing myself, and as women, I, find it essential and natural to express myself through something I understand and am. You’re especially great at photographing cosmetics – do you have any favourite makeup artists or brands to work with? There are three makeup artists in my hometown with whom I particularly enjoy working with - each of them for different reasons. Firstly, Ashley Diablo, she is incredibly creative and always on trend - she always brings interesting things to my photographs with her makeup. Secondly, Genevieve Hardy, she is a pleasure to work with, I love to have her around, especially if things are stressful - her energy keeps me calm and she is an expert at revealing the best in everyone with her makeup, every time I need personal advice for my looks she is the one I consult. Last but not least, Marie-Pier Durand, she is amazing when it comes to working with unusual mediums and always full of new ideas. Her work is never ordinary; it is always a pleasant surprise. We love the racial diversity in the models you photograph. Is this something you consciously look for when casting or is, does it tend to come more naturally? It tends to come naturally. I don’t choose my models depending on their race; I select my models because they inspire or me because they have features that I find interesting. Race should not determine if someone should be a model or not. Skin tones do not define beauty. You’ve exhibited with Centerfold in Canada - how was the experience of seeing your work in an IRL rather than just an exclusively URL format? I absolutely prefer seeing my work in IRL. I love to print my images, especially when I print them in large formats. If I could, I would only show my images in IRL, but nowadays to get your name out there publishing your images on the web is a must. I’m hoping to do many more physical exhibitions, my next one will be in Spring 2017 in Montreal. Have you faced any particular obstacles as a young female photographer? Not yet. Despite the fact that a large number of the people who follow me think I am a man and that some individuals who know I am woman think I am a homosexual. That because they don’t understand that I photograph women because it is my medium of communication instead of a being I am attracted to. What projects are you working on currently? What’s next for Nastia? 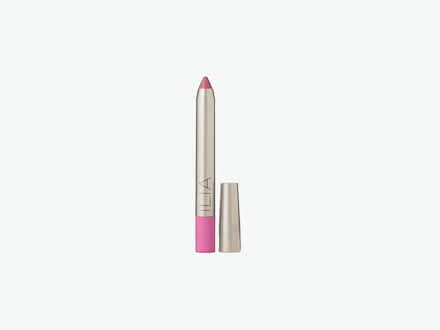 Keep colour in the lines with Ilia’s easy to use Lipstick Crayon. 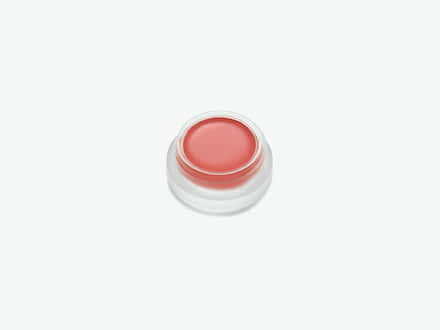 High pigment colour that’s soft, hydrating and can be used on your cheeks too for an extra flush.